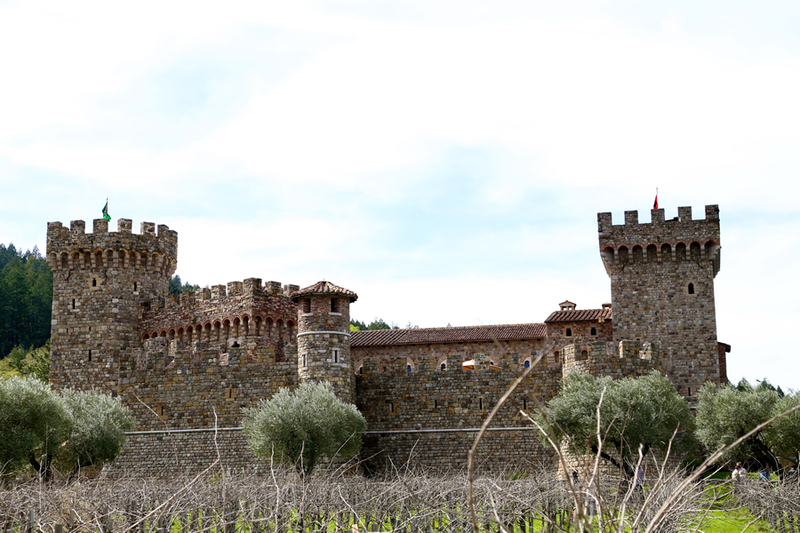 I have heard about “the castle” in Napa Valley for a few years now, but haven’t had the chance to visit. Over this past weekend, Nate and I decided to take some time out from our crazy schedules to unwind, relax, do a little wine tasting and of course witness this amazing throwback into medieval times that California has to offer. 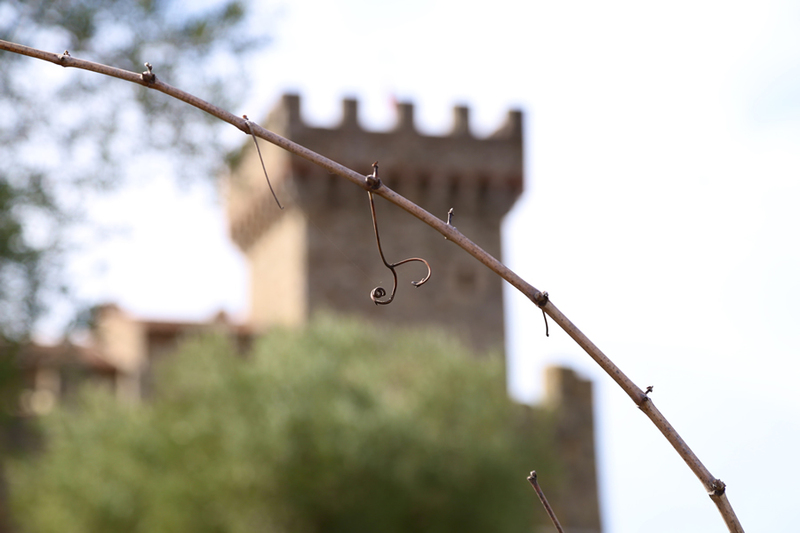 Castello di Amorosa (Castle of Love), authentically styled as a 13th-century Tuscan castle is 121,000 square foot, has 107 rooms, 5 defensive towers complete with enchanting hallways, intricate caves, torture chambers, secret passageways and more than 170 containers of handmade antique bricks and tiles brought over from Europe. 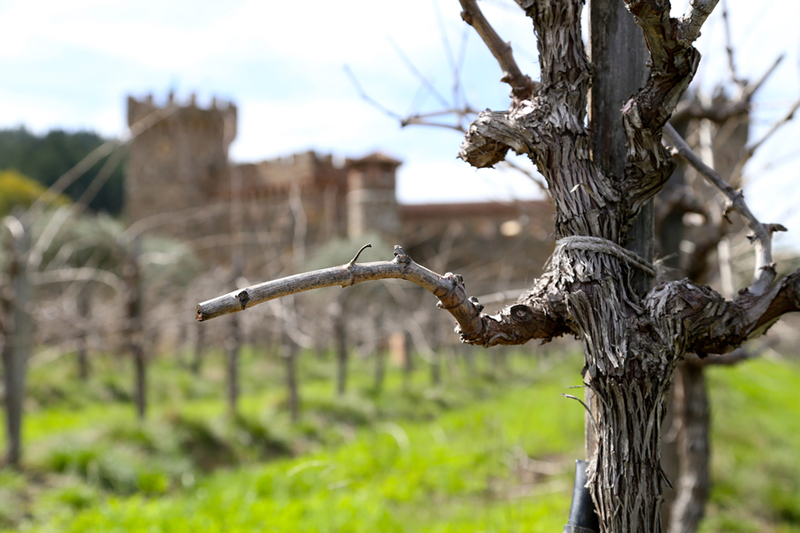 The 14-year process of constructing the Castello was truly a labor of love! 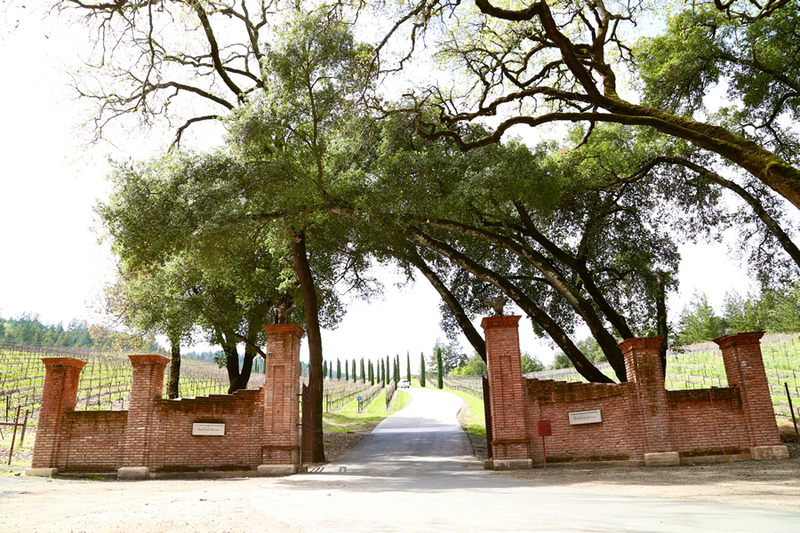 Sadly I was too scared to visit the dark tunnels so we just did our yummy wine tasting, took photos , played dressed up in my vintage-inspired June + Hudson dress (and changed right after into something much more wine-sipping appropriate) and left to our next vineyards. We definitely have to take a full tour the next time we come back to visit! that dress is perfect for the location! Love all the sheer details. Love the outfit you’re wearing. The pictures are beautiful, amazing place!! amazing look! love the pistures! beautiful! i am following for sure!!! Those are absolutely beautiful photos! I love the castle, and your dress makes you look like a princess. You are rocking that dress! 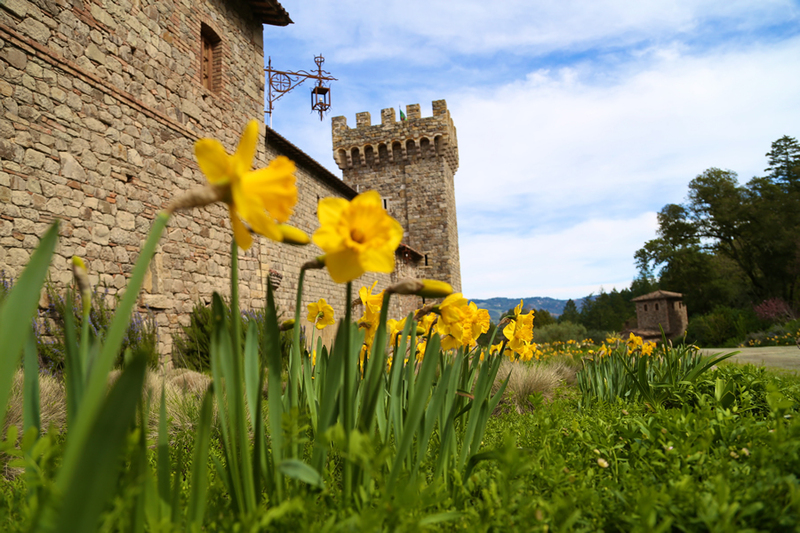 i love castello di amorosa and the napa/sonoma valley… when I used to live in the bay area, I’d always try to stop by once a year and buy bottles of their yummy wine. You look like a beautiful crowned princess in a enchanted castle. I don’t normally see you in pale pink but you certainly should more because you loooo beautiful! The model wearing this dress on the Nordstrom site seriously does not do this dress justice. They should hire you because it fits you like a glove!! WOW, this is absolutely stunning! I love the castle, the backdrop and your dress! You are beautiful!